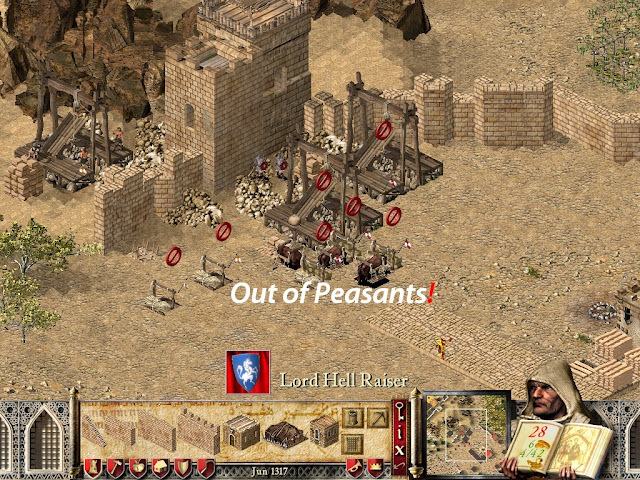 Home All How To's How to maintain more Peasants / Slaves in Stronghold Crusader game? How to maintain more Peasants / Slaves in Stronghold Crusader game? Like in many other games, Peasants or Slaves are very important characters in Stronghold Crusader .They served as your laborer, farmer, wood cutter, miner and even train to become an army or weapon engineer in the whole game. The more peasants you have the greater advantage against your opponent. 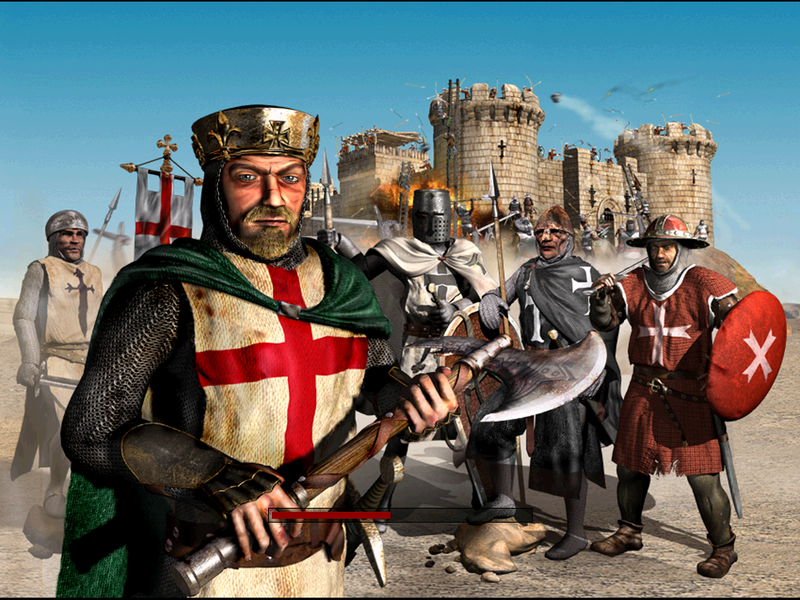 These tutorial is intended for newbie players of Stronghold Crusader who find hard the game to survive because the lack of understanding on the system basically about maintaining their number of Peasants in the game. 1.First, build more shelter for peasants called Hovel. The palace or Keep normally holds a number of peasants but when it’s full you need to build more Hovels. Each Hovel could increase your keep population by 8. 2.While getting more peasants, build more Farms and Food processing buildings to avoid granary stock shortage. 3.Build a Market place while increasing your stones and iron production. Wood is also necessary to build more structures. MarketPlace is the venue where you can trade foods if you encounter food shortage. 4.If your peasants begin sleeping or disappearing this means that your popularity is about to fall or your granary is out of stocks or foods supply too low. Check your food stocks by clicking the popularity book>food. 5.If you have a lot of money go to the Market Place then, Trade foods to summoned more peasants again. Always check your granary to avoid low food stocks. 6.Avoid overcrowding the Keep if possible convert extra peasants immediately to military units. Overcrowding can easily drain your food stocks. 7.Your enemy is always aggressive to attack your peasants because they’re your life blood in the game so, if possible protect them as you can by fortifying and guarding their structure. You should place high walls or cover them with concrete towers. Also, don’t forget to add Wells near them just in case of fire attacks. Remember that you need to balance this 3 things to summoned more peasants; money, shelter, and food productions.